To many couples, our pets are more than a domestic animal - they play a special role in our lives. And just as it is important to have the 'Big Day' filled with family and friends, our day would not be complete without our furry companion by our side. Here are a few fun and creative ways you can incorporate your best mate into your wedding. 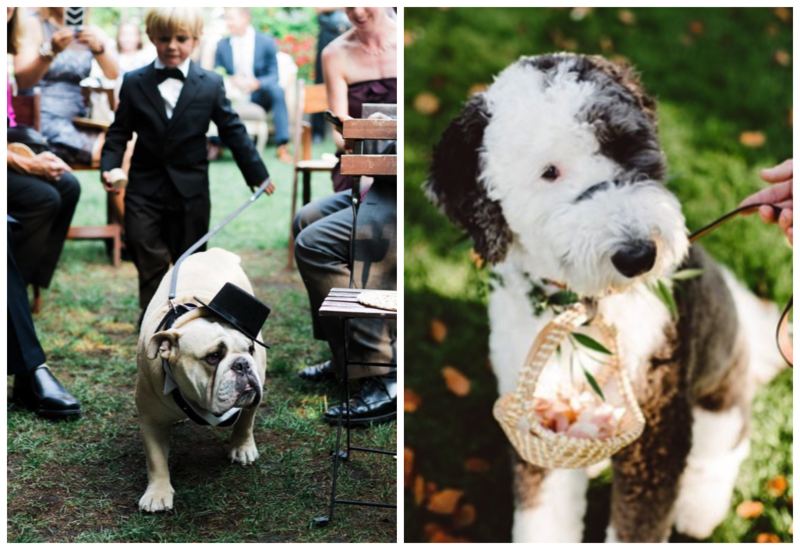 Ceremony: If your pet is one that can work a room like a champ (and doesn't mind someone else holding their leash), find a way to incorporate them into your nuptials. Having your best mate take on a specific role of either flower girl, ring bearer, best man or maid of honor will not only add to the sentimentality of the ceremony, but is also a sure-fire way to create a picture purrfect moment. However, prior to writing them into the processional, make sure you check with venue to make sure they allow paws on their property. Cocktail Hour: If you're in need of an allergy-free environment, offering up a signature cocktail inspired by your four-legged friend is a great way honor them in lieu of their presence. 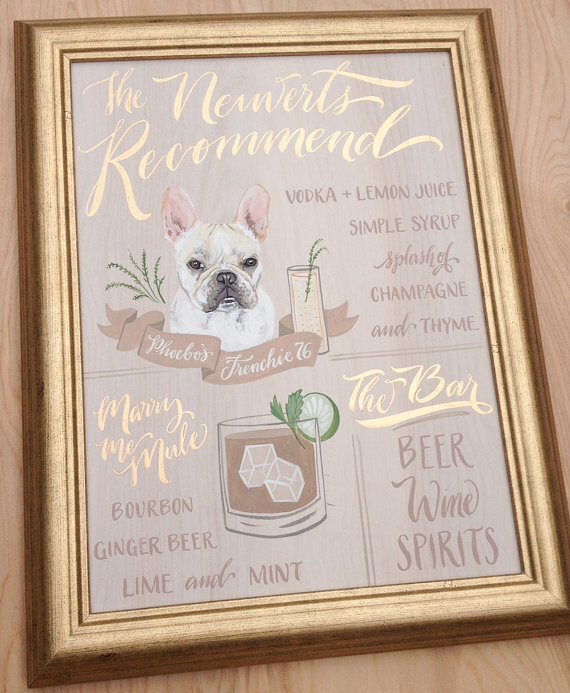 Display specialty signage to showcase the names of the libations and offerings and for an added touch, compliment the cocktails with a customized letterpress napkin showcasing your pet's silhouette alongside your wedding date. Reception: Instead of thrusting your pet onto the dancefloor, find them a pet sitter and shake your booty knowing they are being well taken care of in the comfort of their own environment. 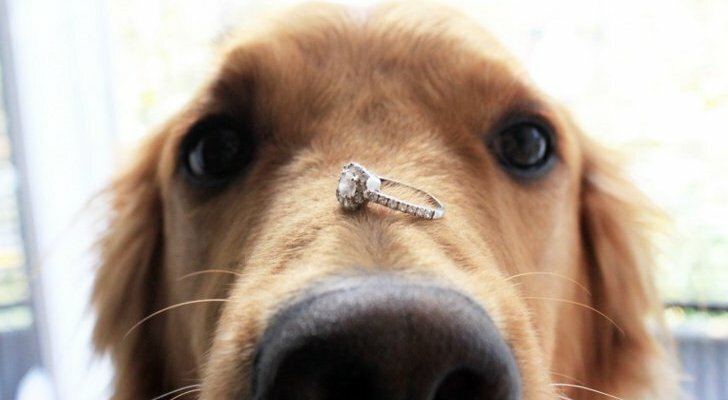 You can them honor them with subtle nods via the decor (think ceramic dogs hidden throughout the tablescape or backbars), cake topper (have a miniature figurine of your pet created to be placed alongside your couple cake topper), and/or favors (send your guests home with a "doggy bag" filled with sweet treats).